One of my favourite parts of Eid is always the new comedies that are released for the holiday. 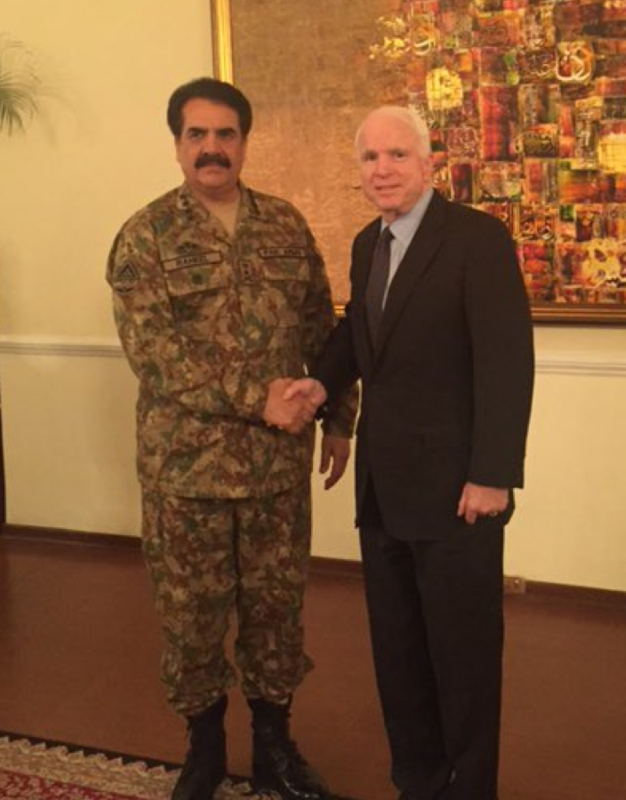 For example, ARY “News” reported that US Senator John McCain has called for Gen Raheel to be given an extension. To proof this report, ARY posted a Tweet by the American Senator showing a photo of him awkwardly shaking hands with our Army Chief. Even US Senators are saying #ThankYouRaheelSharif! I can’t wait for the next ARY “News” reports about other important John McCain statements. 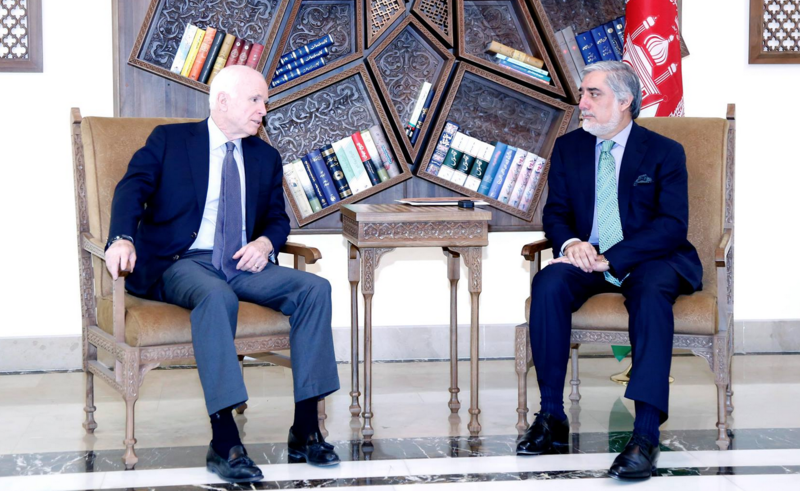 For example, surely this is the US Senator telling Afghanistan that Taliban are the true freedom fighters! Surely this is the US Senator telling American troops that they will now follow orders from the World’s Number One General COAS Raheel Sharif! 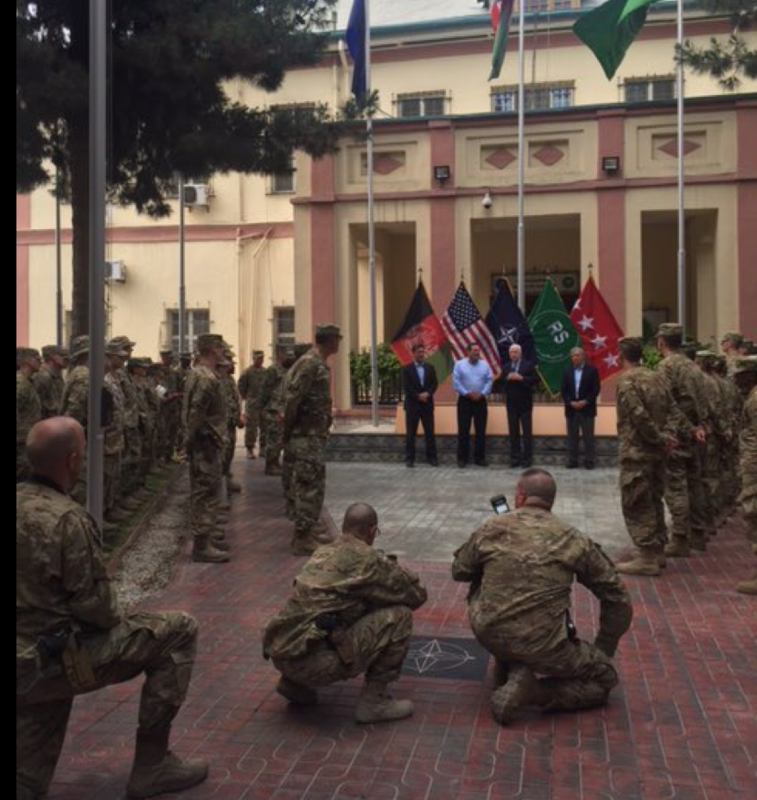 Why don’t they show the American troops celebrating their liberation and raising the Pakistani flag? Don’t believe what you read about international isolation! American officials are the MOST PATRIOTIC Pakistanis! F-16s? Didn’t you see ARY’s report about US Senators singing the praises of our Army Chief? What? What about F-16s? The American Congress said they wouldn’t sell us F-16s because they want us to have EVEN BETTER planes than F-16s! Being such Pakistani Super Patriots, of course the American officials hate Husain Haqqani! With so much tragedy in the world this year, it was so wonderful to know that I can always count on our professional co-media-ns to bring a lighthearted laugh on this blessed holiday. What is even better, though, is knowing that they will continue to bring us such comedies all year! 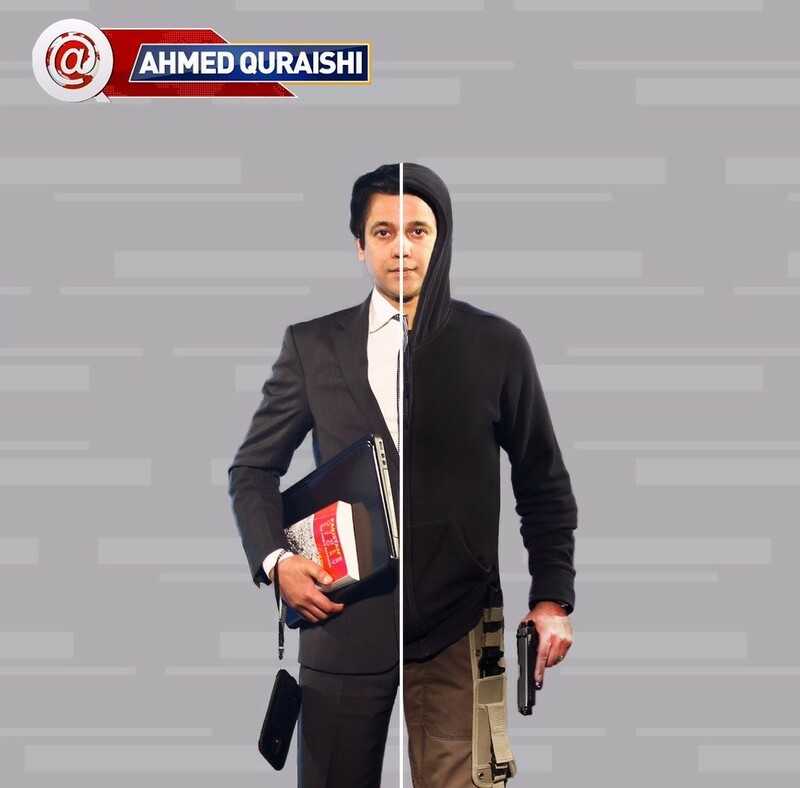 After Ahmed Quraishi’s unceremonious departure from Express News, it was only a brief delay until he was back on the air. This time he has been given a platform on Neo TV, the new private TV channel launched by Chaudhry Abdul Rehman who believes that ‘Pakistan is in a cultural and ideological war‘ and promised to ‘defend Pakistan’s culture and ideology from the Platform of Neo’. Ahmed Quraishi should feel right at home with Neos idea of media not as means of informing people but a propaganda tool for fighting wars. 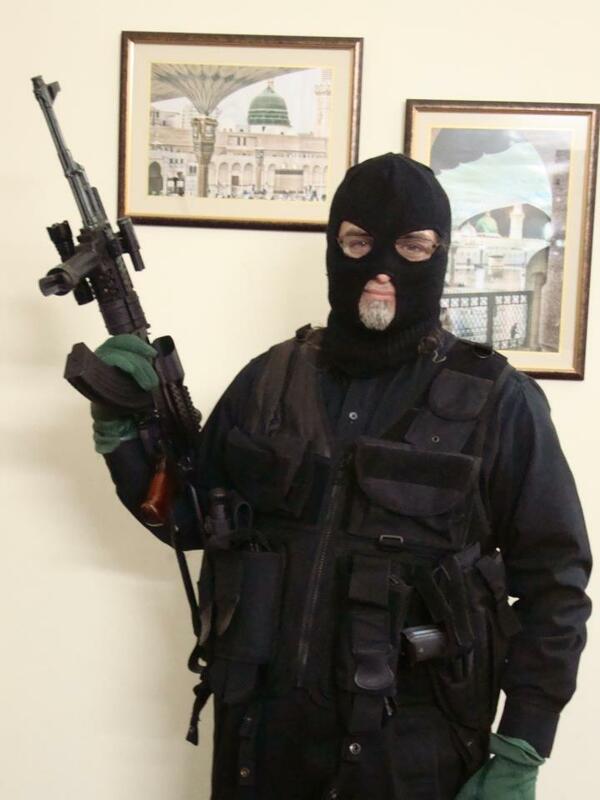 What is funny, though, is when the media mujahideen get so involved in their soldier fantasies that they lose all perspective and begin to believe that they really ARE soldiers. 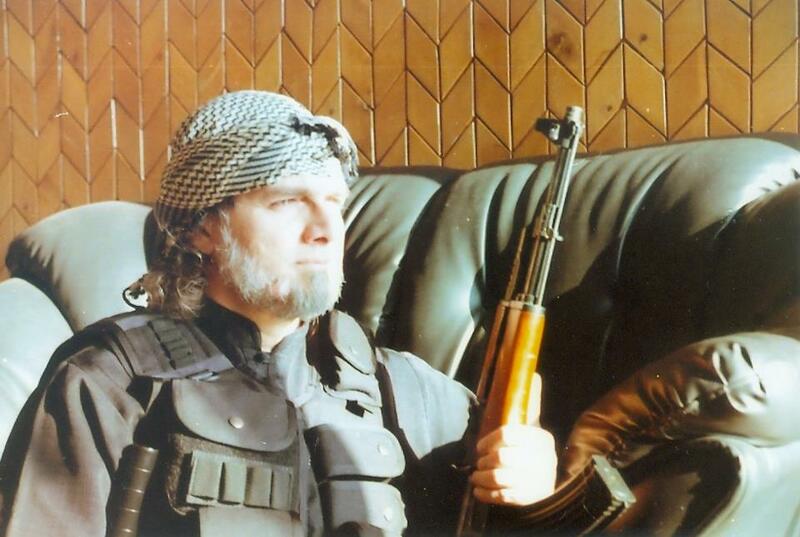 We saw this first hand with Zaid Hamid who filled the internet with photos of himself playing dress up like a child. Now Ahmed Quraishi is also suffering from the same delusions. Why does this happen? Is it the massive insecurity from being around real soldiers so often? These clowns would be very funny but unfortunately it is hard to laugh because they, and those who are funding them, obviously think this is helpful for the country. It is bad enough that real journalists are trying to work with a boot on their neck, but this is just too much. Phony anchors spinning propaganda ‘narratives’ are not soldiers and they are not defending the country. They are only defending their careers at the expense of the real journalists. And please stop taking selfies with guns, boys. You are only embarrassing yourself! 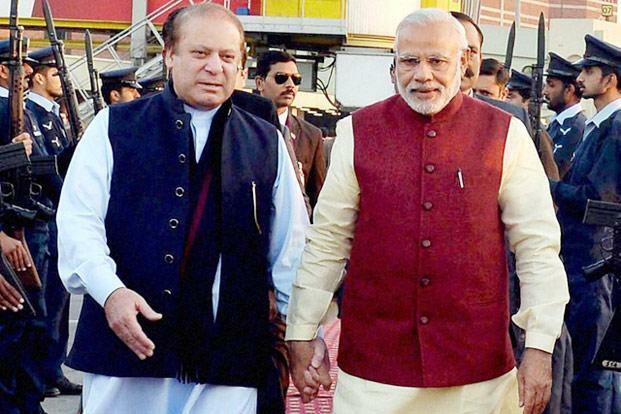 Indian Prim Minister Narenda Modi’s surprise visit to Lahore added to the celebrations of the week. Nawaz did not greet his Indian counterpart as part of a high level diplomatic mission, and yet it was exactly the type of diplomatic ice breaker that has been so desperately needed. Even Imran Khan was found appreciating the event, terming it ‘a positive step’. Not everyone was pleased, though, as certain media personalities took to social media to make their own opinions known. Jindal accompanying Modi raises suspicions of what sort of backdoor business deals may in the pipeline! For the common man, improved relations between the two nuclear powers is an obvious benefit. Besides reducing the obvious chances of violence, improved relations also promises to improve economic opportunities and tourism. For certain media talking heads, though, improved relations are obviously very threatening. Perhaps this is because their own economic success depends largely on continued tensions and an easy enemy to demonise. Is it possible that certain individuals are willing to put their own wealth and fame above the good of their own country? Would someone who puts their own greed before their country be correctly called a ‘patriot’? Obviously this may be taking things a bit too far. However if these individuals are not acting for their own self interest, whose interests are they so desperate to protect? Perhaps the better question is who is it that gains the most money and power from having poor relations between our two nations? Some will point to religious groups and their private funders who find themselves with more power when they can convince the people that Islam is under threat. There are others who will note that it is not only religious groups that play the ‘fortress of Islam’ card to continually increase their funding and authority. Probably we will never know what causes some to feel so threatened and scared of peace between Pakistan and India. Never mind them, though. There have always been those who have tried to sabotage Pakistan’s relations to their own benefit. Some will dismiss the visit between the two Prime Ministers by saying that it didn’t accomplish anything. This is not entire accurate, however. It did accomplish one thing which was flushing out certain individuals and making them show their true face. The term ‘police state’ is defined as “a state controlled by a political police force that secretly supervises the citizens’ activities”. Is this a fitting description for Pakistan, which is supposedly a democracy? The answer to this question may be unsettling. Operation Zarb-e-Azb was long overdue as terrorist outfits had been given leniency since too long which resulted in the inevitable. 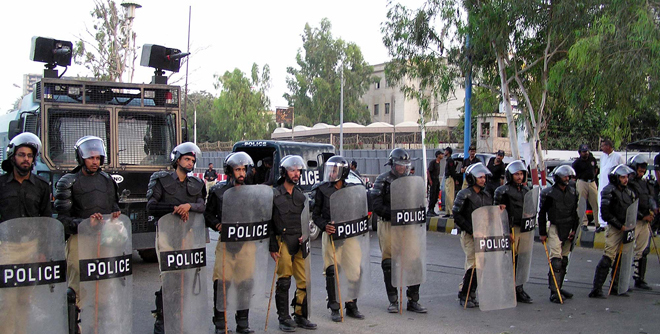 However, there are a growing number of examples of ‘national security’ being used as an excuse for ever expanding police powers against the citizens of Pakistan. YouTube appears to be permanently blocked, despite the fact that no one can point to any legitimate reason why limiting access to the site is necessary. This is a relatively minor inconvenience as videos are widely available on other sites, and there are easy ways to access YouTube anyway. The point, though, is that is an early example of the state arbitrarily trying to control what information private citizens can get. A more alarming example is the growing pressurisation of journalists and media with the most recent case being the firing of Daily Times columnist Mohammad Taqi under direction from Army. Taqi’s case has made international headlines, but it is not the only one. Actually, the media has become increasingly limited in what is reported and the positions that are presented. This is a process that began over one year ago as it was reported in February 2014 that media groups had begun directing journalists not to report anything critical of Army or right-wing political parties like Jamaat-e-Islami and PTI. During this time we have seen those like Ahmed Quraishi and Zaid Hamid returning to the spotlight and preaching a certain agenda. While the media is increasingly becoming a hyper-nationalistic mouthpiece, Army is expanding its role as well. Civilians in the government are being replaced by military officers, and military courts are being expanded to replace the civilian justice system. 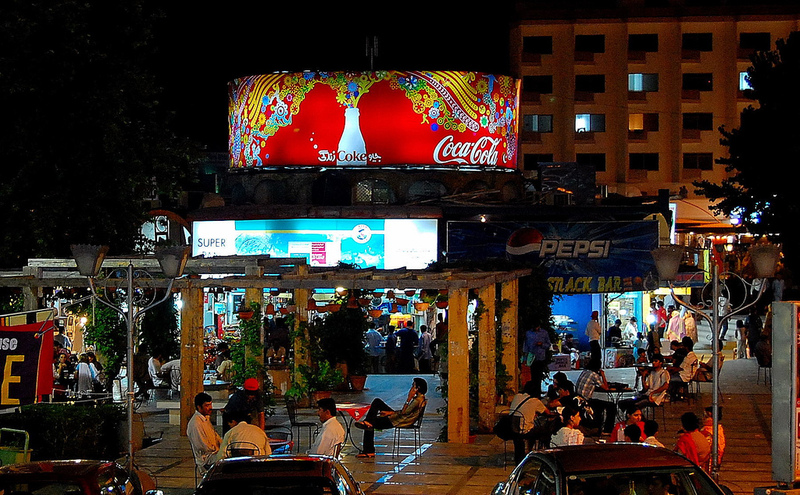 Besides Zarb-e-Azb, Karachi Operation also shows no signs of ending as Rangers continue to target liberal political parties while religious extremists continue to terrorise minorities. In each of these cases, officials and their mouthpieces in the new media justify the expansion of police powers by saying it is necessary for national security. However the latest case was unexpectedly exposed and has revealed what is really going on. Of course I am talking about the announcement that Blackberry will stop providing services in Pakistan due to government demands. As per usual, state officials have said that they have asked Blackberry for help in catching terrorists, but now a Blackberry official has revealed the truth on their website. The truth is that the Pakistani government wanted the ability to monitor all BlackBerry Enterprise Service traffic in the country, including every BES e-mail and BES BBM message. But BlackBerry will not comply with that sort of directive. As we have said many times, we do not support “back doors” granting open access to our customers’ information and have never done this anywhere in the world. Pakistan’s demand was not a question of public safety; we are more than happy to assist law enforcement agencies in investigations of criminal activity. Rather, Pakistan was essentially demanding unfettered access to all of our BES customers’ information. The privacy of our customers is paramount to BlackBerry, and we will not compromise that principle. While we are justifiably outraged by the statements from Western politicians that want to monitor all mosques and Muslims, treating everyone as if they are a potential terrorist, our government is doing exactly that already. Is it true that in order to secure the country, we must monitor every citizens as if they are a terrorist threat? Actually there is another possible reason for blanket monitoring which has been done by totalitarian regimes in the past. By monitoring every citizen closely and reading their messages, totalitarian police states such as Nazi Germany and USSR were infamous for collecting private citizens secrets and using to blackmail them to spy on their neighbors. Is this what we have become already? There is no question that we are in a fight for our lives against jihadi terrorists and their extremist takfiri ideology. In this fight, Army and other security forces have an obvious role to play, but we must be careful that their role does not seep into every corner of our lives and turn Pakistan into a totalitarian police state.